I love to read. I have always loved to read. I remember fonldy going to the library and checking out 50 books at a time, then laying on the floor with my stack of books next to me (just imagine the late fee on that many books! Yikes! Yes, that happened). I ended up majoring in English, and now that I have children, we read a whole lot. I mean, a really ridiculous amount if you can call reading ridiculous. To give you an idea, every month students turn in how many minutes they read that month, and while some children are in the hundreds, mine are in the thousands. So yes, we read a lot. If you are buying books, it can be expensive. There is also a space limit on how many books you can have in your home. Sadly (though the Kindle makes it possible to own a lot of books without taking up much space!). Even with limitless space, we do not have limitless budgets. So what are real treasures? 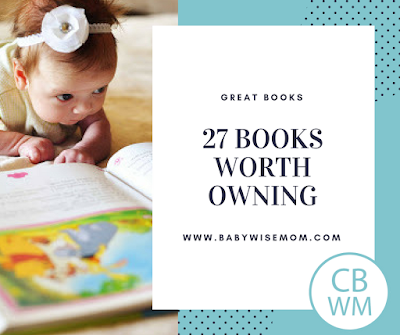 What are the books worth owning–books you can be pretty sure will be loved for a long time and by multiple children? Goodnight Moon by Margaret Wise-Brown. She has many great books. Pajama Time! by Sandra Boynton. She also has many great books. That’s Not My…series. Our favorite is That’s Not My Puppy…. These are touch and feel books, and have many subjects to suit your child’s interest. Many animals, princesses, vehicles, etc. Counting Kisses by Karen Katz. Katz also has many great books, including fun lift-the-flap books. Brown Bear & Friends Board Books by Eric Carle. This was the ultimate favorite of my third child. Nursery Rhymes. Reading experts agree that reading nursery rhymes to babies and children is great for teaching language. Our favorite nursery rhyme book is Lucy Cousins’ Book of Nursery Rhymes. I have noticed that the really great picture books end up having sequels. Some sequels are just as good as the original; some are just good. The Pout-Pout Fish be Deborah Diesen. This is an all-time favorite. There is also a sequel. David Goes To School by David Shannon. David Shannon has many great books that kids just love. He has a great talent for making children laugh. A great picture book for older children is Too Many Toys, and if you can get the book on CD, you will not be sorry. My Truck is Stuck! by Kevin Lewis. This was my sons favorite for a very long time. It has great rhymes. Fancy Nancy by Robin Preiss Glasser. There are a lot of Fancy Nancy books. These book are great at expanding vocabulary for children. Knuffle Bunny: A Cautionary Tale by Mo Willems. Mo Willems has many great children’s books, including sequels to this very popular book. Sheep in a Jeep by Nancy E. Shaw. This book has great rhymes and repitition. It also has sequels. The Velveteen Rabbit by Margery Williams. This is such a classic it almost seems wrong to have a list without it. Favorite characters–there are many favorite characters out there. Winnie the Pooh, Clifford…they are favorites because they are great. I find chapter books to be tricky. We have read books from lists that are favorites of many that I find I don’t appreciate so much (like Junie B. Jones and the Stupid Smelly Bus–which we read right before kindergarten started. Bad idea). be excited about reading books. The Boxcar Children series by Gertrude Chandler Warner. I love this series. It is so clean. It has suspense and yet has good morals. The children in the story are kind to each other. Chronicles of Narnia by C.S. Lewis. This is such a classic. It has elements that appeal to all types–adventure, princesses, talking animals…and the stories are fabulous. How to Train Your Dragon by Cressida Cowell is a great series. My son loves this. It is quite different from the movie. Harry Potter and the Sorcerer’s Stone (Book 1) by J.K. Rowling. The Harry Potter Series is a great one that is responsible for the love of reading among thousands today. The Indian in the Cupboard by Lynne Reid Banks. I loved this as a child, and my son loved the series. He was fascinated with these books. I will say that there was some editing I did as I read it aloud to my son. Matilda by Ronald Dahl. Series are great and children can become attached, but you don’t only want to read series books. Children become used to the the writing patterns of authors, so reading book after book by the same author doesn’t expand comprehension and vocabulary like reading from various authors. Matilda is a classic stand alone. The Secret Garden by Frances Hodgson Burnett. This was one of my personal favorites as a child. My Side of the Mountain by Jean Craighead George. This book was just fascinating to my son. 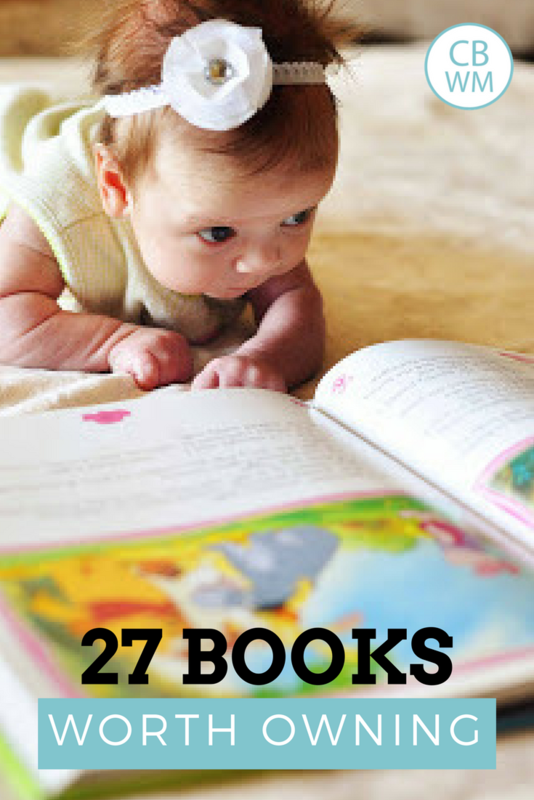 Because I am a sucker for books, I have many, many book list posts. If you want to delve deeper into lists, check out these posts below.